ALL THE WAY TO CITY HALL. 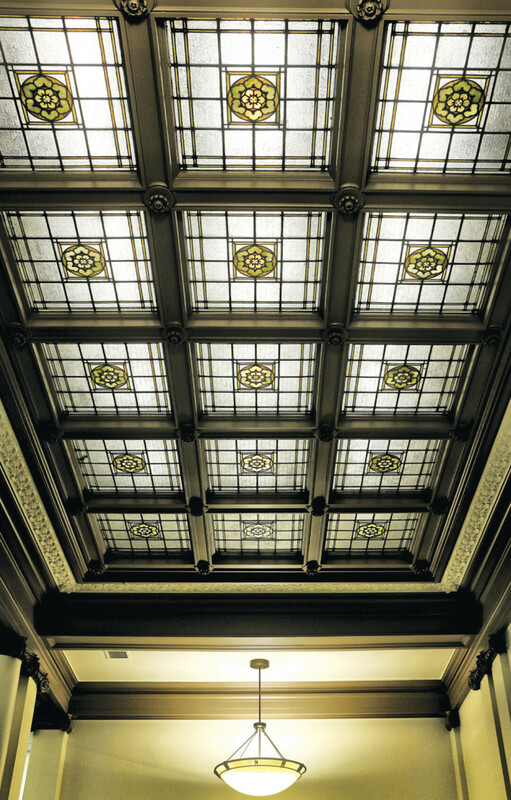 This glass ceiling – an original fixture – can be found in Eau Claire’s City Hall (203 S. Farwell St.). Renovations will begin this year to the building’s exterior.